The exact number has come in - at the time of writing - at 3,424,087,722 views of its hit episode Recipe for Disaster, marking a new record for those in the category. 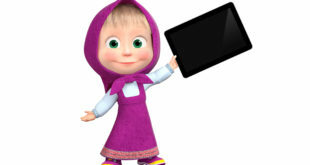 Consumers will be able to access and download a wide range of Masha and the Bear digital assets, including full-length episodes of season one, two and three, as well as games ebooks and more with the purchase of any model of the Samsung tablet. 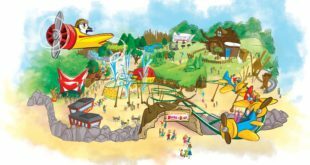 The new development will see the Masha and the Bear area – first opened in 2016 – grow to 10,000 square metres, marking the largest area that the park has created exclusively for one character. Licensing.biz talks to INK Group’s commercial director, Annalisa Woods about the growing demand for Masha and Zafari, the evolution of the licensing space and just what you can expect from the company in Las Vegas this year. 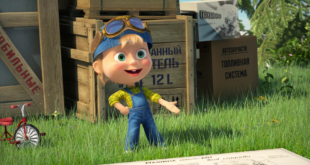 The premiere of the latest season has debuted on Cartoonito. Sony Pictures Television Networks will bring the animated to UK screens thanks to a new partnership with Ink Global. Enormous success of first live show inspires new production touring Italy from late 2017.